Some inhabitants of Cooksville and Port Credit believe that the road to debt relief is by declaring bankruptcy in Mississauga. Personal debt can be compared to a barreling train that we believe we have control over. Only to learn a short time afterwards that we really don’t. And as time goes on, we have less and less control. No one sets out to get themselves in financial hardship. However good people can get themselves into financial difficulties and not even realize it until it’s too late. If you find yourself in the above situation, there are debt professionals in Mississauga that can provide the assistance you seek to get control of your finances once again. When your monthly responsibilities surpass your monthly income, it’s the right time to search for an expert who could ensure that you get solid counsel on debt alleviation strategies. Generally that means a Licensed Insolvency Trustee since they are the only professionals who are able to legally apply for bankruptcy for you. 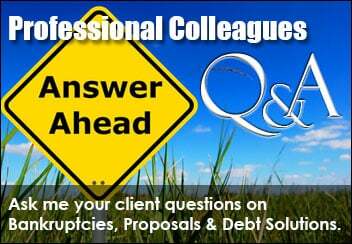 They are able to explain in detail the legal pros and cons of personal bankruptcy and other options. 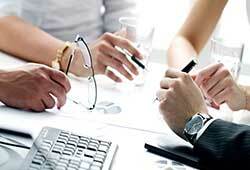 There is no shortage of credit consultants and loan consolidation companies that may provide some form of assistance. Only a Licensed Insolvency Trustee can guide you through the legalities of each of the debt relief options including renegotiating with lenders, consumer proposals and declaring personal bankruptcy. Debt Relief Choices in Mississauga and Port Credit During these difficult financial times, most of us are coping with our own troubles in one way or another. 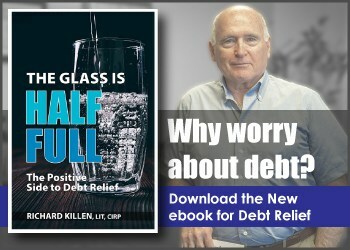 The stress of living under a large amount of financial debt is often very depressing and draining. You’ll find yourself constantly distracted at your job thinking about the lack of money only to deal with debt collectors when you get home. Ranging from constant calls to distressing correspondence, the demand to come up with cash you do not have is very difficult to deal with day in, day out. The fortunate thing is that you don’t have to combat that challenge by yourself. 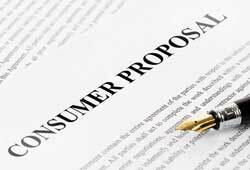 Applying for individual bankruptcy is one solution, however one can find alternative choices to attain personal debt reduction and those choices must also be looked into prior to choosing your final debt solution. 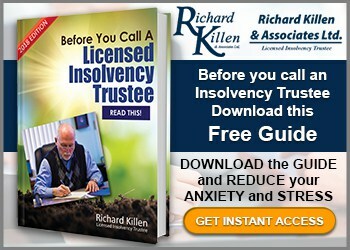 To get solid debt advice and guidance, Mississauga residents utilize Richard Killen & Associates. They have numerous years of expertise and have helped many Mississauga residents in getting back their economic stability. Making the call to our workplace will probably be one of the more stress reducing call you will likely make. Call us today at 1 (888-545-5365) to book your complimentary consultation. We also offer after hours consultations. Our Cooksville office is located at 130 Dundas Street East near Hurontario St. and just south of Square One Shopping Centre. For more resources on declaring bankruptcy in Mississauga and debt relief we encourage you to get in touch with our office today at 1(888) 545-5365 to obtain the stress relief you deserve!